Catalign Innovation Consulting: Why does Forrester say – Sustainable development is an oxymoron? Why does Forrester say – Sustainable development is an oxymoron? I have earlier written about my fascination for ecosystem view in technical leadership ecosystem and innovation ecosystem. It is no surprise that I found Jay Forrester’s interview in Sloan Management Review insightful. Jay Forrester has spent last 50 years studying behaviour of complex systems such as cities. In fact he is the father of a field known as Systems Dynamics. 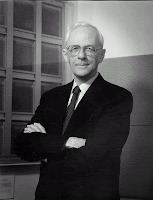 Forrester is now 90 and an MIT Sloan School of Management Professor emeritus joined the Sloan school when it formed in 1956. Oxymoron means contradiction is terms. For example, the term “hot ice” is an oxymoron. Similarly, Forrester feels “sustainable” and “development” don’t go together. What is sustainable development after all? These are initiatives and new businesses where one kind of resource such as fossil fuel is replaced with another such as wind or solar. And one type of technology is replaced with another so called green technology. Plastic is replaced with a biodegradable material and so on. And why does Forrester say, “sustainable development” is an oxymoron? He says we are trying to solve the symptoms rather than the real problem. We feel technology can solve all problems. However, the real problem is something different. Real problem is the deep rooted cultural belief that growth is good and can go on forever. And hence Forrester believes that the biggest management problem is going to be to understand how to manage successful non-growing company – and how to get out of the frame of mind that success is measured only by growth. I attended your session during wicamp@iisc.. the idea that any growth comes with consumption of more resources, and a positive feedback is set in the system.